It's time for a Valentine's Day party! Come party for FREE with these cute little heart buddies! This set of lovable Valentine's Day themed clipart can be used in your classroom or in products you sell. All files have transparent backgrounds and are 300 dpi for high quality printing! 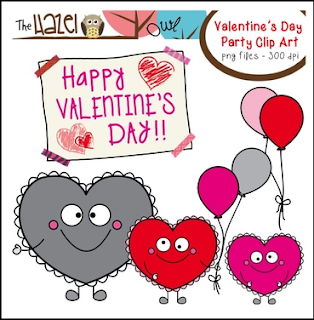 Other Valentine's Day clip art sets are available in The Hazel Owl Store! - Bundle of Love Clip Art Mega Pack! !